Western Digital unveils its WD Black Hard drive offers 4 TB storage capacity, high speed and performance for gamers. 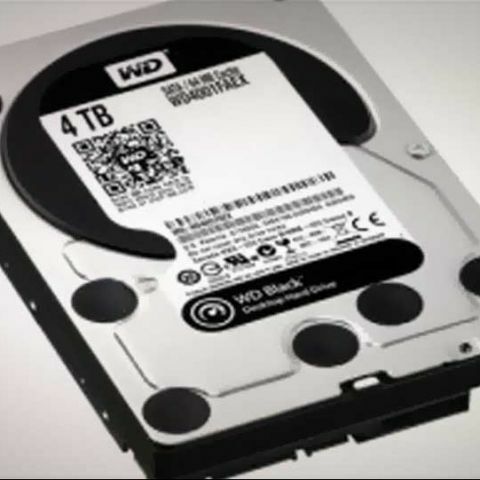 Western Digital announced the launch of its WD Black 4 TB 3.5-inch hard drive in India. The hard drive offers fast performance and is said to be ideal for high-performance desktop systems and workstations. According to the company, the WD Black offers Dual core processor to maximise the performance of the drive. It supports Dual actuator technology that improves positional accuracy over the data track(s) and IntelliSeek to reduce power consumption and noise. The StableTrac motor shaft reduces system induced vibration and stabilizes platters for accurate tracking during read and write operations. The Hard Drive also has NoTouch ramp load technology that provides drive protection during transit and significantly reduces wear and tear to the recording head. The WD Black 4TB hard drives is available for Rs. 21,000 (plus local taxes) and comes with a 5 year limited warranty. Laptop with 1 TB hard drive, 8 GB RAM & 4 GB Graphics Card ?